In February and March of 2009, Claire Aliki Collins traveled to the Center for Underwater Archaeology (CUA) at the Taras Schevchenko National University in Kyiv at the invitation of Dr. Sergiy Zelenko and Yana Morozova. She studied the graffiti on 13th-century Günsenin IV amphorae raised from the Novy Svet shipwreck off the coast of Novy Svet, Crimea. 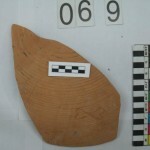 The shipwreck, which has been excavated since 1999 by the scholars from CUA, has been tentatively identified as a merchant ship from Pisa sunk in 1277 by the Genoese, based on a passage from the Annali Genovesi di Caffaro e de’suoi Continuatori, which describes the sinking and burning of a ship in the precise location where this wreck lies in the Bay of Sudak. 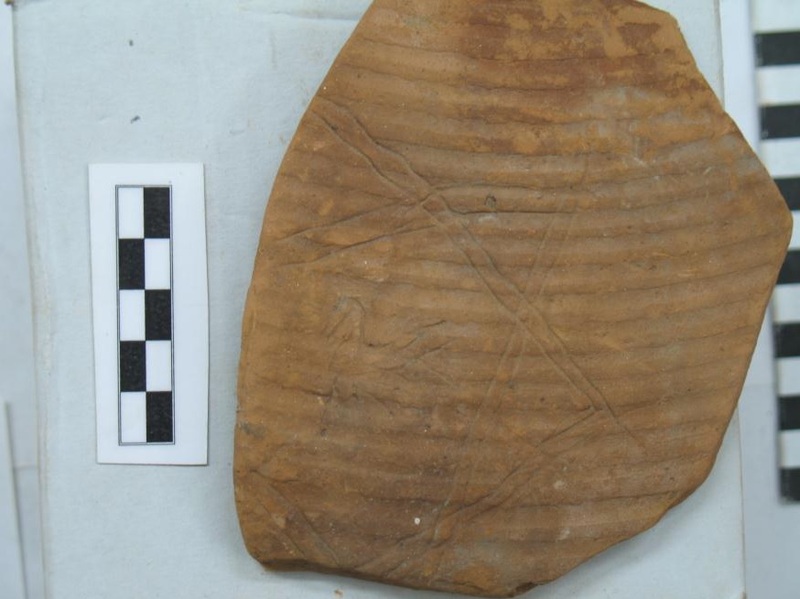 Claire Aliki Collins documented 1000+ examples of graffiti on 720 Günsenin IV amphora sherds, both by taking pictures and making scale drawings. Upon returning to Texas A&M, she also analyzed ceramic samples both petrographically, using thin sectioning, and geochemically, using LA-ICP-MS. 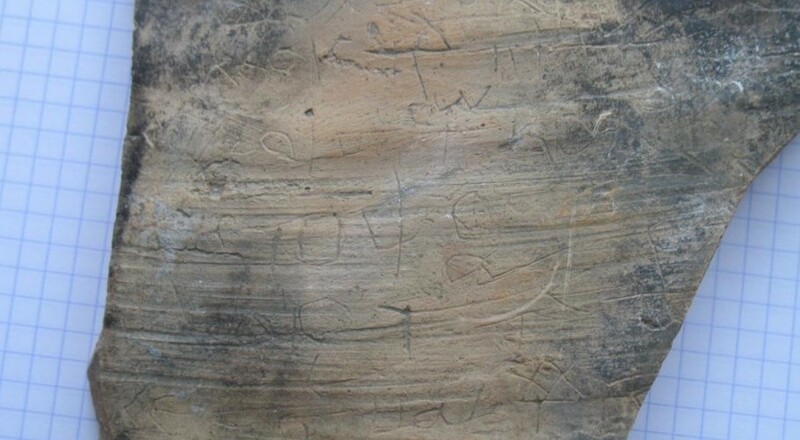 The accumulated raw data forms the basis for a MA Thesis completed in 2012, focusing on the analysis of the graffiti, their morphology, and the function of amphora graffiti in the Late Byzantine Period. 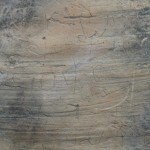 The graffiti aredivided into 5 types; Greek/Cyrillic letters, Turkic runes, geometric or pictorial symbols, numerical designations, and Arabic letters. Their parallels speak to a multi-lingual, multi-ethnic trade network in the Black Sea that included Byzantine Greeks, Hellenized Bulgarians, and Arabs. This thesis will eventually become a chapter in the final publication of the Novy Svet wreck and the author will be presenting at the BSANAs in November. Furthermore, this corpus will hopefully become an important reference and comparative source for the study of Byzantine amphorae and graffiti. 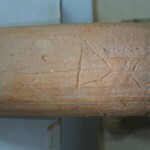 ABOVE: Hexagram with bird graffito (Amphora Graffiti from the Byzantine Shipwreck at Novy Svet, Crimea, Collins 2012).